Watch our video by clicking here. The primary use of the Geoprobe® tooling is the collection of soil, groundwater and soil gas samples. Direct Push technology refers to tools that are advanced into the subsurface through weight (static force) and/or percussion (dynamic force) i.e. without the traditional use of rotation. When using a Geoprobe® machine you will be able to collect continuous and undisturbed soil cores, as well as groundwater and soil gas samples. Since 2001 Geoprobe Systems® has also oriented its development towards the Sonic technology. This revolutionary drilling technique uses resonance energy of high-frequency generated by a Sonic head. A significant amount of vibrations per second is sending this energy downhole via the rod string. A job can be completed faster and easier by reducing the friction and decreasing the resistance along the rods. 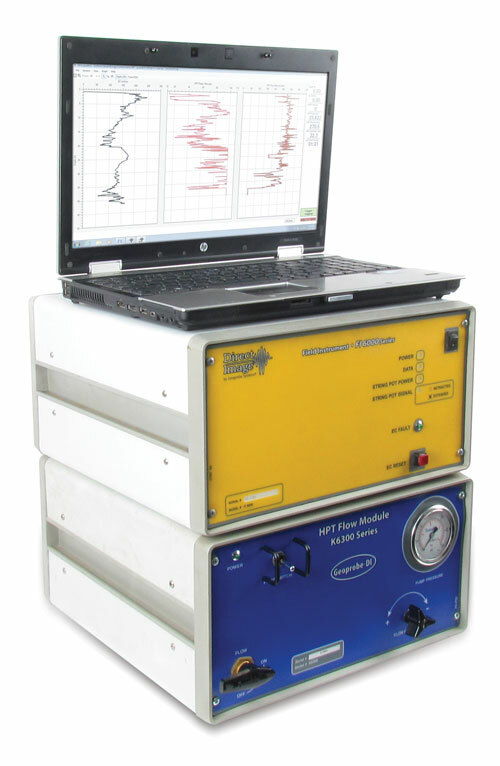 The Direct Image® terminology includes in-situ measurement techniques used to determine soil lithology (through EC/electrical conductivity probes), soil permeability/ hydraulic conductivity (through the HPT/Hydraulic Profiling Tool, or Pneumatic Slug Tests), to identify petroleum hydrocarbons or chlorinated solvents in the subsurface (through the MIP/Membrane Interface Probe). Geoprobe® has also designed pumps for the injection of cement/bentonite mixes and remediation fluids into the ground, which do not only fill the voids but are brought into direct contact with a maximum of contaminant mass. Geoprobe Systems® is an American company based in Salina (Kansas) which develops and manufactures Direct Push and Sonic machines, as well as equipment and tools for soil investigations for the environmental and geotechnical industries. The first Geoprobe® unit was developed in 1988 for the US EPA. Since then, teams of highly-skilled engineers are working hard for the permanent improvement of the machines and tools that Geoprobe® produces.